Over 25 percent of Americans have a condition that causes knee or leg pain. Nearly half of Americans develop symptoms of knee osteoarthritis by age 85. 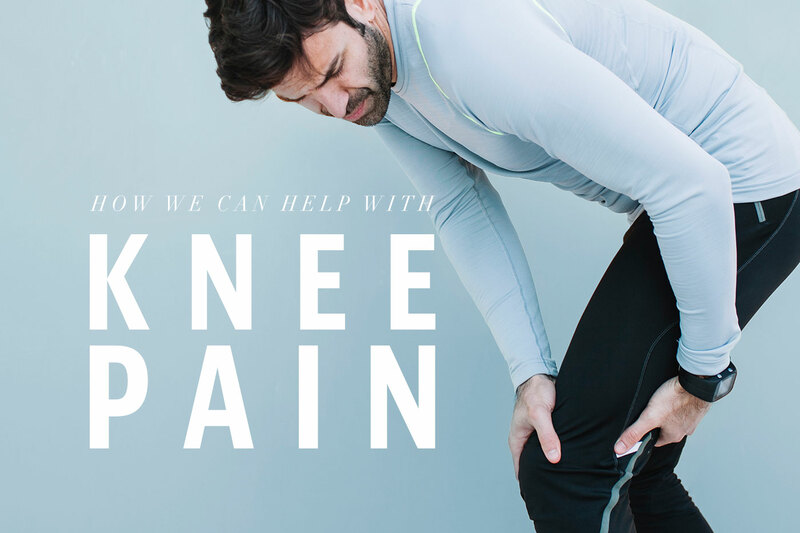 If you are one of the many who suffers from chronic knee pain, the doctors at Innovative Pain and Wellness can develop a comprehensive treatment plan that is right for you. With our extensive range of treatment options, we can help soothe your chronic knee pain. Physical Therapy – Depending on the individual injury and impairment your physical therapist can perform a variety of hands-on techniques including soft tissue mobilization, stretching, Instrument Assisted Soft Tissue Mobilization (IASTM), and joint mobilizations. Additionally, your physical therapist will show you how to relieve stress on the joint with exercises that strengthen the muscles around your knee. Chiropractic Care – There are a variety of procedures your chiropractor may employ based on your treatment plan. Active release technique is used to address problems with the soft tissues around your knee. In the case of ligament instability or osteoarthritis, your chiropractor may fit you with a brace for daily wear. Acupuncture – Acupuncture is used to release your body’s natural pain relievers and reduce inflammation. Depending on the cause and severity of your knee pain, your doctor may recommend a series of acupuncture sessions. Steroid Knee Joint or Bursa Injections – If you have been diagnosed with knee osteoarthritis, your doctor may recommend steroid knee joint or bursa injections. The corticosteroid medication is injected into the joint or bursa and serves to reduce inflammation, which can relieve your pain symptoms. Viscosupplementation – Knee osteoarthritis can be treated with Viscosupplementation, a medical procedure during which lubricating fluid (hyaluronic acid) is injected into a joint. Hyaluronic acid is naturally present as fluid in a healthy knee, but the amount of it is reduced in a knee with osteoarthritis. Boosting the amount of hyaluronic acid can help cushion and lubricate the knee joint and reduce inflammation. Platelet Rich Plasma Therapy (PRP) – PRP is used to treat several types of knee injuries and conditions, including osteoarthritis and tendon, ligament, or cartilage damage. The procedure involves concentrating a sample of your blood to separate the platelets from other blood components. The concentration of platelets is then injected into the knee. Amniotic Stem Cell Therapy – The cutting-edge amniotic regenerative medicine therapy can help heal your knee and reduce your pain. This treatment uses amniotic material collected from health-screened caesarian births (without injuring the mother or baby). This material is screened, preserved and then injected into the damaged area of your knee. The therapy reduces inflammation and boosts your immune response because it contains proteins and cells that promote healing. Knee Nerve Blocks – A peripheral nerve block interrupts the pain signals traveling from the saphenous and genicular nerves to the brain. Knee Radiofrequency Ablation – If a peripheral nerve block provides pain relief, your doctor may recommend a radiofrequency ablation procedure, which provides longer lasting pain relief. 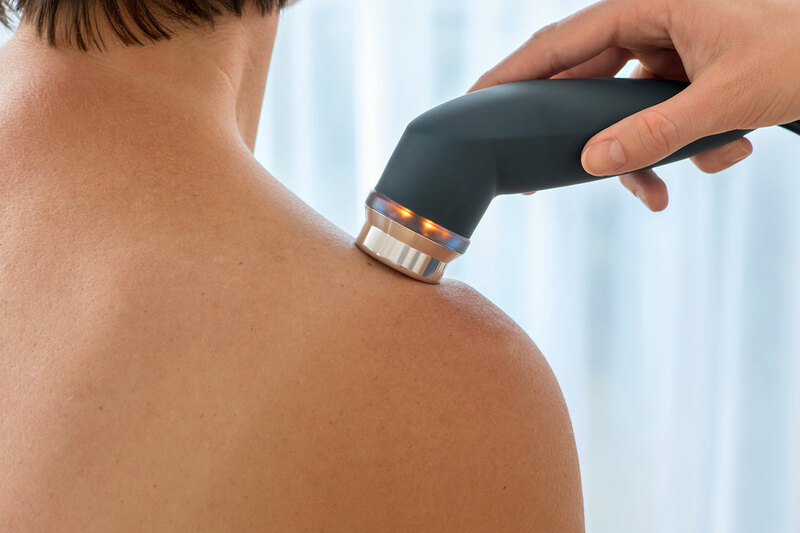 During a radiofrequency ablation procedure, the peripheral nerves are re- treated with a specialized needle that applies heat to the nerve. After this procedure, those nerves can no longer send pain signals to the brain. Relief from this procedure can last more than six months, and the procedure can be repeated if the pain returns. At Innovative Pain and Wellness, we have the training and experience to know that not every pain management technique is going to work for everyone, which is why we offer a variety of treatments and therapies. We offer positive solutions to pain management while providing cutting-edge care with the newest advancements in medicine. We look forward to helping you!